Ensuring the development, growth and prosperity of Veteran Business Owners, Service Disabled Veteran Owned Businesses (SDVOB) and Military Business Owners of all sizes worldwide. We do so by connecting our members with private corporations and government agencies. We provide networking, collaboration, mentoring, education, certification and advocacy. VAMBOA’s “Vet Owned” seal symbolizes the talent, dedication, leadership and courage of these special Americans who currently serve or have served in our nation’s Armed Forces. VAMBOA is your non-profit veteran business trade association that promotes and assists Veteran Business Owners, Service Disabled Veteran Owned Businesses (SDVOB) and Military Business Owners. We know that you possess special skills including leadership abilities and a work ethic second to none. 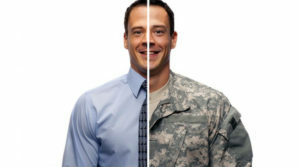 Veteran Business Owners, Service Disabled Veteran Owned Businesses (SDVOB) and Military Business Owners are highly qualified to build successful businesses. Small businesses are the backbone of our economy and responsible for job generation. Membership in VAMBOA is free and provides a multitude of resources. Join Now.